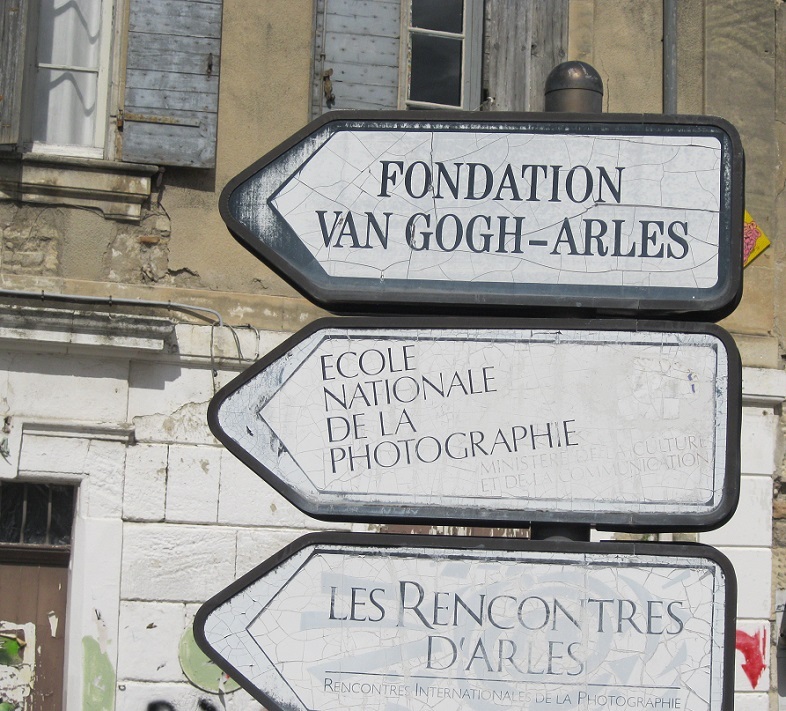 When I was in Arles, France this spring I wanted to take a look around. Following a sign seemed like a good way to begin. 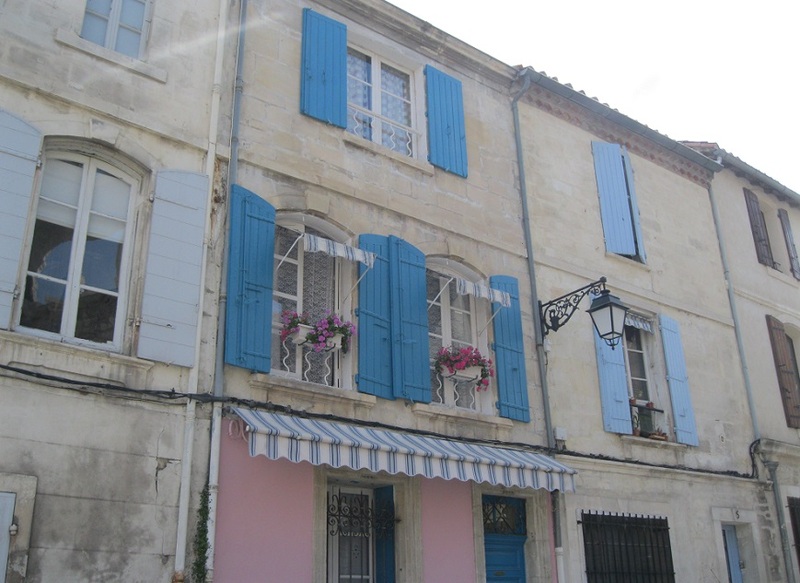 The buildings were colorful and there were interesting places to shop. 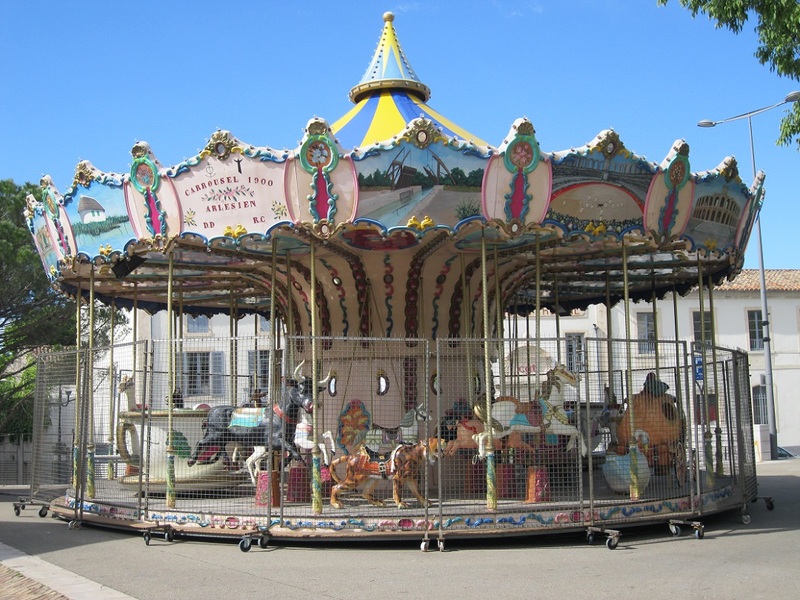 Then I discovered a carousel and decided to take some pictures as souvenirs. Although it wasn’t open at the time I thought that the cars (including the animals) were charming. 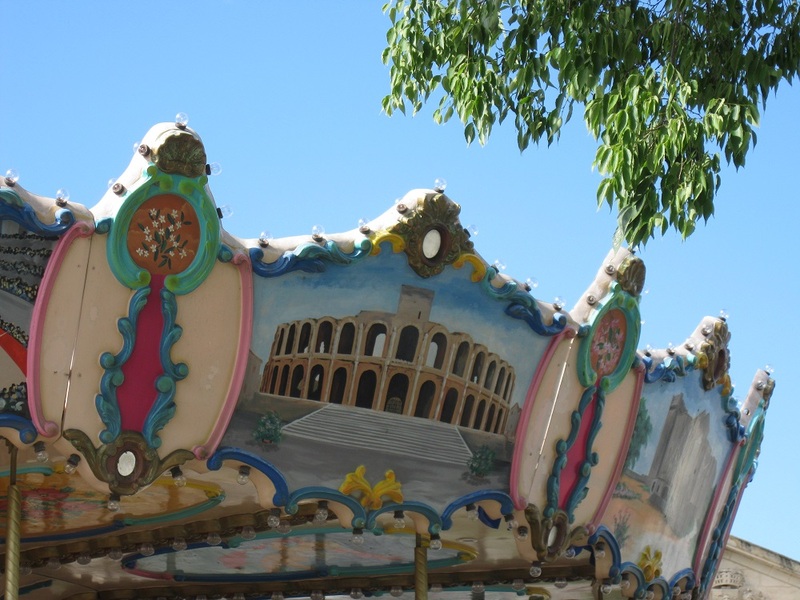 Here is the entire carousel and a detail of one of the panels that features the amphitheater. 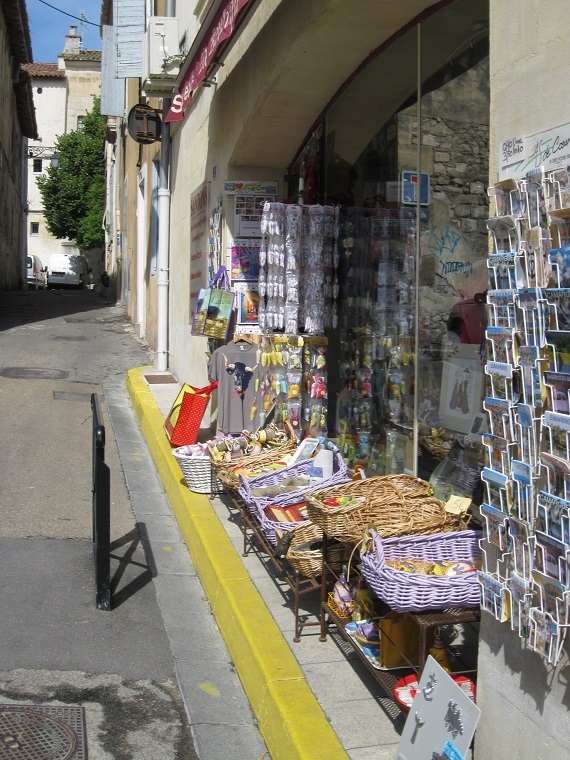 These pictures are now my souvenir postcards from Arles.